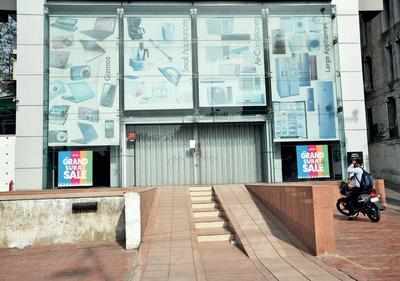 SURAT: Surat Municipal Corporation’s (SMC) fire and emergency department on Saturday sealed an electronics shopping mall on Gaurav Path on Surat-Dumas Road for violation of fire safety measures. Official sources said the shopping mall was sealed by the department after the management failed to initiate fire safety measures. They said it was found during a surprise visit that the electronics shopping mall was not at all safe for people as it was not having fire safety equipment to deal with emergency situation like fire. The management was served with notices for complying with fire safety norms, but in vain.